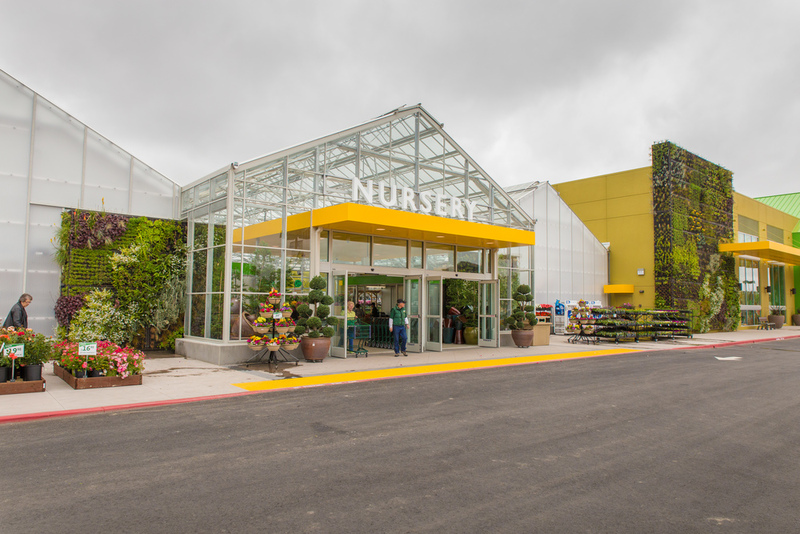 Rana Creek was called upon to design and install a series of living walls for a new Freidman’s Home Improvement store in the Deer Creek Village in Petaluma, CA. The Living Architecture team designed modular baskets that cover over 3,000 square feet of concrete wall, both interior and exterior. An integrated rainwater harvesting and telemanagement system mitigate water demands. Construction on the site marks the return of a locally owned business to its roots. The wall, adding an element of modernity, compliments the environmentally friendly landscaping in Deer Creek Village, and provides a green greeting for the store’s visitors. 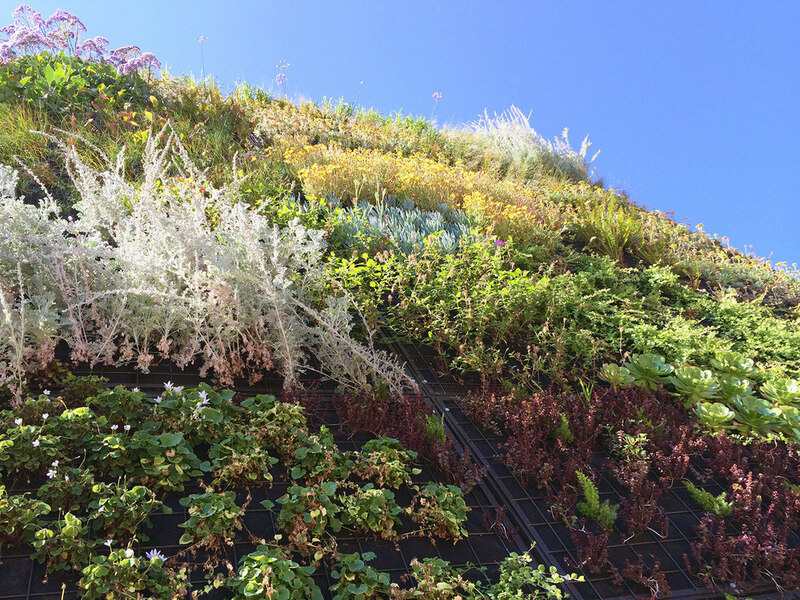 The Rana Creek Nursery grew the wide range of ferns, grasses, flowering perennials and succulents chosen for the living wall that the construction crew finished installing in 2014.